Aggressive tax planning falls within a gray area of interpretation and abuses loopholes in national legislations, which may cut heavily into national tax revenues. The report stated that aggressive tax planning may also undermine public trust in the tax system, and increase inequality gaps between high-income earners and low-income earners. The newly published report states that tax authorities may currently be placing too great a reliance on audits to detect or address aggressive tax planning practices. As wealthy individuals and large corporations can have earnings and business affairs across several jurisdictions, and traditional audits practices are often ineffective in quickly obtaining all the information needed to make proper assessments of a taxpayer’s tax affairs. Describing the shortcoming of traditional audits standards, the report stated, “Tax audits will continue to play a key role in the detection, deterrence and prevention of aggressive tax planning schemes. 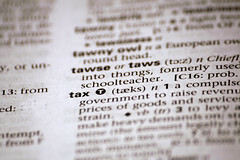 However, traditional audits alone may not be a resource efficient way to obtain timely, targeted and comprehensive information on aggressive tax planning schemes.” It was suggested that tax authorities switch a greater focus to other compliance enforcement approaches, such as mandatory early disclosure initiatives, or the required disclosure of pre-determined international transactions. It was noted that several countries, such as Australia, Canada, France, Ireland, Italy, Netherlands, New Zealand, Portugal, Spain, UK, and US, have already implemented complimentary disclosure initiatives alongside their audit requirements, in order to address aggressive tax planning. In a statement accompanying the report, the OECD stated that by implementing complementary disclosure initiatives the UK has already cut GBP 12 billion worth of avoidance opportunities from the tax system. All OECD-member nations are now being urged to conduct investigation regarding the potential advantages of extra disclosure rules to be implemented alongside with traditional audits.